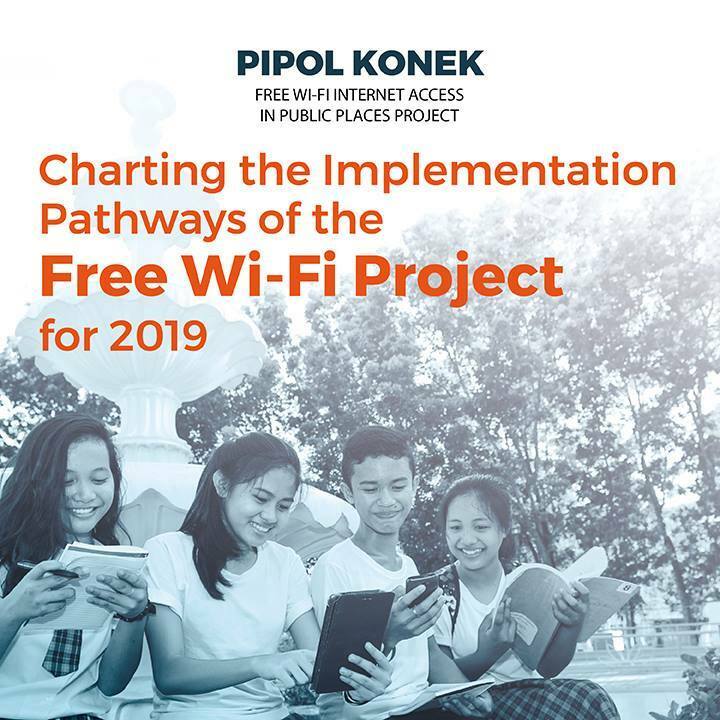 05 April 2019 — The Department of Information and Communications Technology is capitalizing on lessons learned to get ahead in the rollout of the Pipol Konek – Free Wi-Fi Internet Access in Public Places Project. In response to the delays in the rollout, the DICT is shifting its approach to ensure greater efficiency in its project deployment. Recent developments in the Project serve as the primary springboards of improvement. The Department proactively sought partnerships and sealed a Memorandum of Agreement with the United Nations Development Programme (UNDP) on September 26, 2018. This collaboration facilitated capacity building programs of Project focals and instituted convergence initiatives with stakeholders. On March 22, 2019, the DICT and UNDP also signed a Project Document to fast-track the rollout of hotspots, stating the goal of providing Internet services to up to 6,000 target sites. In preparation for this undertaking, UNDP is assigned oversight of site network analysis, monitoring, and training programs. On top of this, there is ongoing awarding of Provincial Wi-Fi Infrastructure Network (PROWIN) contracts to different service providers via the Philippine International Trading Corporation (PITC). The PROWIN model reflects the shift in procurement services and it addressed the challenge of missing network components. This scheme bids out lots provincially, propping last mile link services and access points under a single package for increased feasibility. The DICT is committed to intensive reassessment of its project strategies through various consultative meetings, and with the UNDP partnership and PROWIN model in place, the Department is also strengthening its infrastructure buildup to accommodate the rollout of Internet hotspots. DICT’s Memorandum of Understanding (MoU) with the National Electrification Administration (NEA) and the Philippine Rural Electric Cooperatives Association, Inc. (PHILRECA) is set to help the government establish more provincial Points-of-Presence (POPs) with the help of rural electric cooperatives. The Department stands by its mandate to provide free Internet access as a fundamental right of Filipino citizens, and these efforts have reaped results. As of April 1, 2019, there are 2,330 sites covering all 17 regions across 73 provinces in over 640 municipalities and cities. 18 Points-of-Presence (PoPs) are also already established in major cities across the country.